*Upon purchase, you will receive a pdf that contains the link to the recorded webinar along with the algorithms used within the presentation. The pdf will also contain a brief questionnaire with instructions on how to receive your CERPs. Mothers’ perceptions of low milk supply is the most frequent cause of early weaning worldwide. Mothers may believe that they have low milk production and supplement, which leads to actual low milk production if mothers do not receive skilled professional interventions. Since, biologically, the majority of healthy mothers can produce enough milk for their babies, strategies should be focused on protecting this capacity rather than treating low milk supply once it occurs. Objective 1: Participants will learn which prenatal parent education strategy may be effective in preventing low milk supply. Objective 2: Participants will learn about antenatal expression of colostrum and its possible role in preventing low milk supply. Objective 3: Participants will learn about the importance of breastfeeding support groups (“the tribe”) in the prevention of low milk supply. Objective 1: Participants will be able to identify normal, effective suckling. Objective 2: Participants will be able to determine signs of adequate milk supply and basic intervention if there is not. - learn objective signs by which to know if their baby is eating enough. - teaching it to expectant mothers may be a useful tool in raising their self-efficacy and feeling of empowerment, which is basic for the prevention of low milk supply. - Often in our modern culture the first child a mother holds is her own. Being part of a group of mothers and babies helps to create realistic expectations and raises knowledge about normal baby behaviour. 1. Skin-to-skin contact in the immediate postpartum is associated with the increase breastfeeding duration. - In skin-to-skin contact the baby´s brain begins to wire for effective feeding and positive social and emotional skills – this will help to prevent low milk supply. 2. If the baby does not latch in the immediate postpartum, or does not suckle effectively, or mother and baby are separated, early and effective extraction of colostrum should begin within this period. A simple algorythm will be provided. - Mother´s brain goes through intensive re-wiring during the postpartum, but requires close contact with her child. This programming helps mother to understand her baby´s needs and cues more intuitively. - Hospital staff must be certain at all times that the baby is able to feed effectively. This must be registered in the clinical history. - The earlier the intervention (frequent, effective colostrum/milk removal), the easier it is to prevent low milk supply. - The intervention is two-fold: to feed the baby with mother´s own colostrum/milk (to prevent low blood sugar/dehidraton in the neonate) and to protect mother´s milk supply. - Know where to go if they have a breastfeeding problem. 1. A person providing breasfeeding support MUST be able to determine if a baby is effectively removing milk from the breast. - With the help of several videos, we will work on this skill. 2. A simple algorythm will be provided to outline basic management of low milk supply. 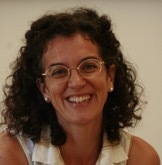 Dr. Carmela Baeza is a medical doctor, specialized in family medicine and in sexual therapy in Madrid, Spain. She became an IBCLC in 2005, and has been a BFHI Evaluator since 2006. She works in a private Family Wellness Clinic, Raices, where she is in charge of the lactation program. She teaches Natural Family Planning (Symptothermal Method and LAM), and is the current president of the Spanish Lactation Consultant Association (AECCLM). Over the past seven years she has coordinated more than 40 breastfeeding courses, in which her educational team has trained over 3,000 doctors, midwives, and nurses from both the Spanish National Health Service and the private sector in Spain. Dr. Baeza is part of a workgroup on ankyloglossia; they are currently conducting a clinical study to determine the effectiveness of frenotomy vs conservative treatment on posterior tongue-tie. She is also part of a workgroup for the study of chronic breast pain and mastitis. Dr. Baeza is the author of Amar con los Brazos Abiertos (To Love with Open Arms), a parenting book. It has two parts, the first to make the science behind breastfeeding easy for parents to grasp, and the second to address everyday parenting emotional issues that parents can turn from barriers into assets for their family growth. She is married to Carlos and has five children.